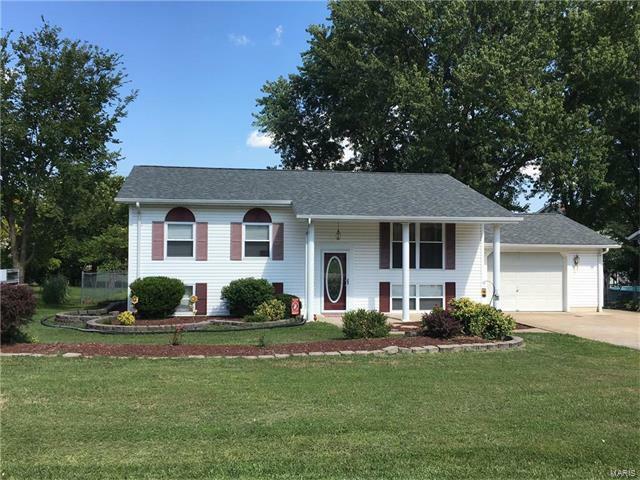 Beautifully updated 3 bedroom 1-1/2 bath home with hardwood floors and an open floor plan. Enjoy the updated kitchen with tall cabinets, custom tile backsplash,recessed lighting and large garden window. Dining area has updating lighting and two can sit at the breakfast bar for a casual meal. Living room is spacious and open to dining room. Spacious master bedroom(18X10)has two closets and two windows for loads of natural light. Second bedroom has large bay window with seating. Hall bath is updated. Finished lower level includes huge recreation room, fresh carpet, third bedroom, half bath, laundry plus workshop/storage space with cabinets. Heated garage with workbench, extra-wide driveway and beautiful landscaping. Backyard is fenced and has a large deck (20X14) for outside enjoyment and a storage shed (14X14) to store yard tools. Roof and gutters (2017). Easy access to Hwy 70 and Bryan Road; Close to schools, shopping, entertainment + restaurants. One year HSA Home Warranty included. Hwy 70 to Bryan Road to West on Veterens Memorial to Left on OFallon Drive to Left on Lang. Home is on the right.